A Seventies superbike, the Laverda Jota mixed impressive performance, with rugged good looks. In '76, the Jota's top speed stat of 140mph was pretty creditable ... particularly for a bike with just three cylinders. The Jota was exotic in a way only an Italian bike can be. Yet, it might never have appeared at all! Just prior to the Jota, Laverda were knocking out some pretty average - sorry, affordable - motorcycles. At the same time, cheap cars - such as the Fiat 500 - were rolling into Italian showrooms. As a consequence, Laverda very nearly went out of business. Classic motorcycle aficionados will forever rejoice that - in the nick of time - Laverda management changed tack. They gave the green light to the gorgeous 2-wheeled products for which they become renowned. But the Jota is not an entirely Italianate affair. It was the bike's British importer which suggested to the Laverda top brass that they pack even more power into what was already a perfectly pukka motor. The Italian marque accepted the challenge. 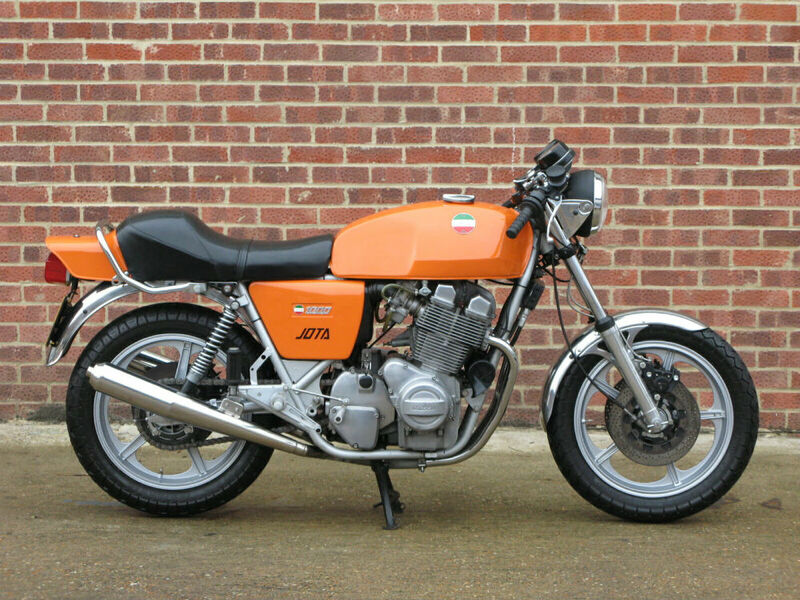 Laverda Jota lovers have been ecstatic ever since! Now, at last, they had an engine which did full justice to the impeccably-drafted design lines of a truly classic bike.